1. You can expand or increase the table of contents by clicking the plus or minus icons. You can hide the table of contents by clicking the X icon. 2. 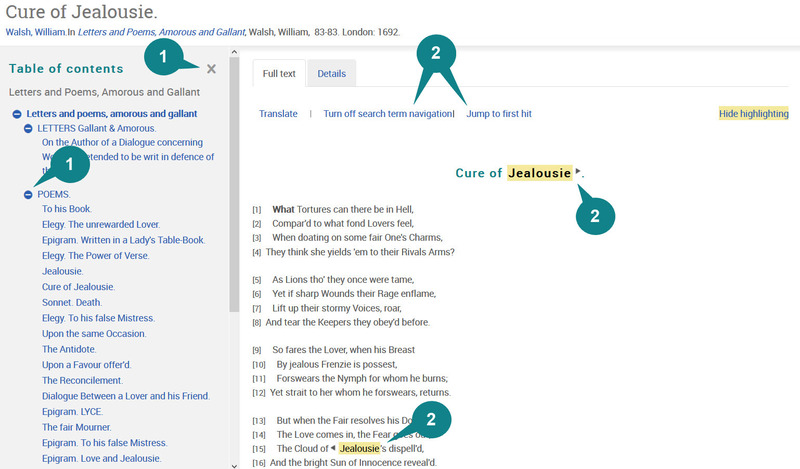 If the article has been located by performing a Primary text keyword search, occurrences of the keyword in the text are highlighted in yellow. Clicking Turn on the search term navigation means you can then click Jump to first hit to go to the first occurrence of the keyword in the text. Then use the arrow icon at the first hit to jump to the second hit, etc. For more details about document view features, click here.